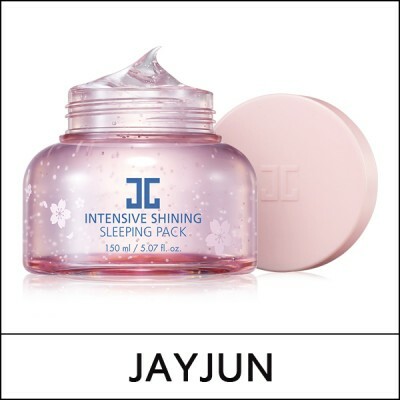 Overnight intensive moisturizing and radiance-boosting care gel type sleeping mask. This supple jelly-like mask enriched with flower energy, provides anti-wrinkle, vitality care, brightening, moisturizing, and soothing effects at once. This sleeping mask contains shining multi capsule, a highly moisturizing 3 in 1 capsule with excellent moisture capacity. It contains ceramide to strengthen the skin barrier, and centella asiatica extract to soothe the skin. Rich in vitamins, it gives luster to the skin making it clear and radiant. Extracts of 9 different flower and leaf moisturize, vitalize the skin. Soothe and moisturize the skin, keeping the skin moist. Makes the dry skin smooth and moist. Prevents skin from oxidation, keeps the skin smooth and fully hydrated.